The other featured speaker of the 3D Entertainment Summit was famed Hollywood Producer M. Night Shyamalan. In a rambling, confusing, and interesting 30 minute conversation about 3D, the industry, and how he felt the younger producers were being “forced” to plunge in and use this new approach to film making, the maker of The Devil, his newest film, went from wanting to use 3D, to not wanting to use it, to using parts of it in a film, to some place of still trying to work it all out. Shyamalan, who doesn’t even know how to work his own computer, nonetheless, likes to take huge leaps, and that’s why he wound up doing The Last Airbender. 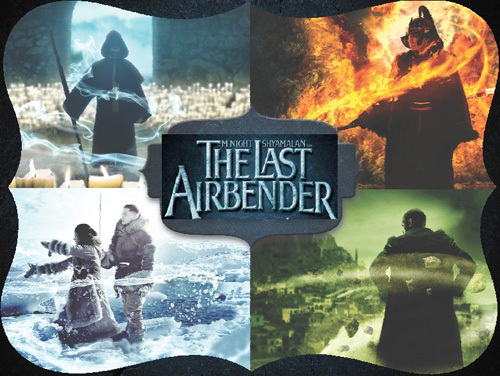 Not made as a 3D Movie, The Last Airbender has been panned and the 3D effects called “laughable” by one reviewer. Shyamalan admits he learned a lot, and wished that he’d made the decision to use 3D much earlier in the process of the making of the movie. It’s that back and forth which marks Shyamalan’s still-in-flux thinking about the use of 3D in his movies. One issue for M Night are the 3D glasses. The fact that one has to put them on, in his view, is an impediment to the film watching experience. If he wants to use 3D in some parts of a movie, then the viewer has to put their glasses on, then take them off, then put it on again is bothersome to him. Plus, there’s the problem of his aunt in Buffalo, who asks “Why doesn’t the 3D come out at you more?” His need to explain the technics of 3D and worry that the audience expectations may not match what he’s trying to communicate make him hesitate to fully jump on the 3D bandwagon. For M. Night Shyamalan, 3D “is not subservient to the story, and that is the problem.” He sees it as more than “just a tool” but something that can take over and define a movie, and that observation gives him pause regarding its use. Oh, and don’ forget about the glasses. he said hes writing a thriller and a sci fi movie. wats the sci fi movie? No news on hi Sci-fi movie, but I think he is planning that for 2014. He is still waiting for Paramount’s response to Airbender 2.
i liked it when zukos ship really came out of the screen.